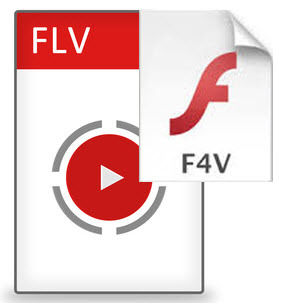 F4V format is compatible with most operating systems via the Adobe Flash Player and web browser plug-in. What if you want to play F4V videos directly on Mac or Windows as well as most popular software like iTunes, QuickTime, etc. without Adobe Flash Player and any plug-in installation? What if you want to watch F4V movies on Apple’s iOS devices, Android phones and tablets, BlackBerry, etc? In these cases, you’d better to convert F4V to MP4 format which is one of the most common and popular format nowadays. As we all know, there are two different video file formats known as Flash Video: FLV and F4V, although Flash Video content may sometimes be embedded within SWF files. What separates them apart? Well, F4V, based on the ISO base media file format, is similar to MP4 format. Starting with Flash Player 9 update 3, F4V is a standard format that is widely used to distribute dynamic media across the Internet. F4V files are actually container files that are used for the playback of certain media files. There are functional limits with the FLV structure when streaming H.264 or AAC which could not be overcome, so Adobe developed a new format, F4V. F4V files support H.264, also known as MPEG-4 AVC (Advanced Video Coding). H.264 is a video compression standard that offers significantly greater compression than its predecessors. F4V does not support some old video and audio codec in FLV format, like Screen, Sorenson Spark, VP6 video codecs and ADPCM, Nellymoser audio codecs. F4V gives a better support to AAC and H.264 than FLV under the same situation. F4V does not support Sorenson Spark, screen video and VP6 video compression while FLV supports Sorenson Spark, screen video, ADPCM, nellymoser, linear PCM and VP6 video compression. 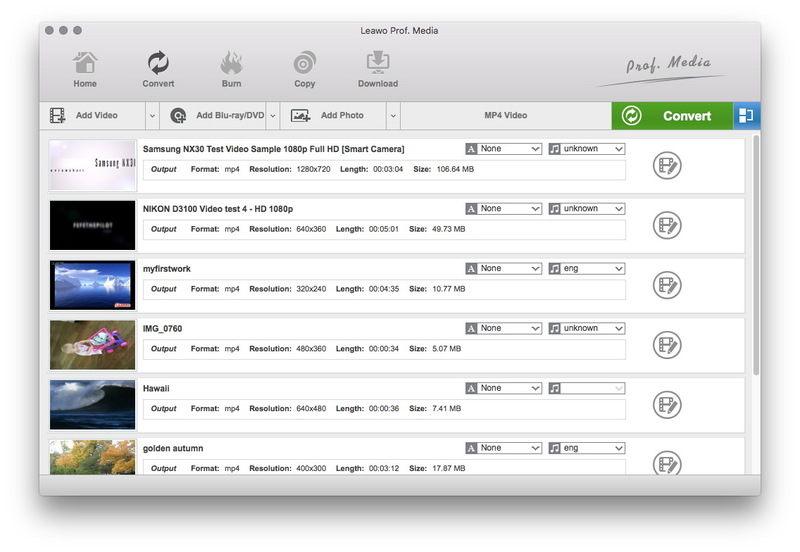 Converting F4V to MP4 on Mac is a piece of cake with the help of Leawo Video Converter for Mac. 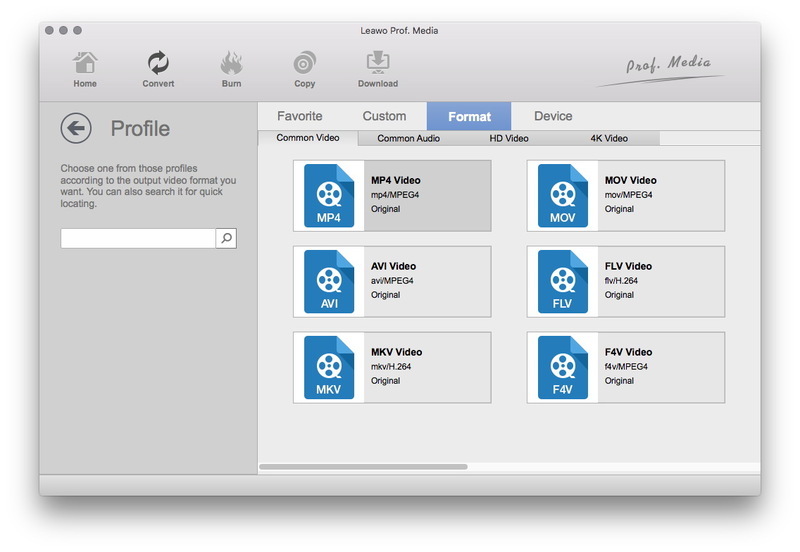 Far more than a simple F4V to MP4 converter, Leawo Video Converter for Mac could convert not only F4V to MP4, but also VOB to MP4, VOB to AVI, VOB to MOV, F4V to MP4, VOB to FLV, etc. What’s more, this Mac F4V to MP4 converter allows you to set video and audio parameters of output MP4 files, so you could be assured of more suitable MP4 video files. 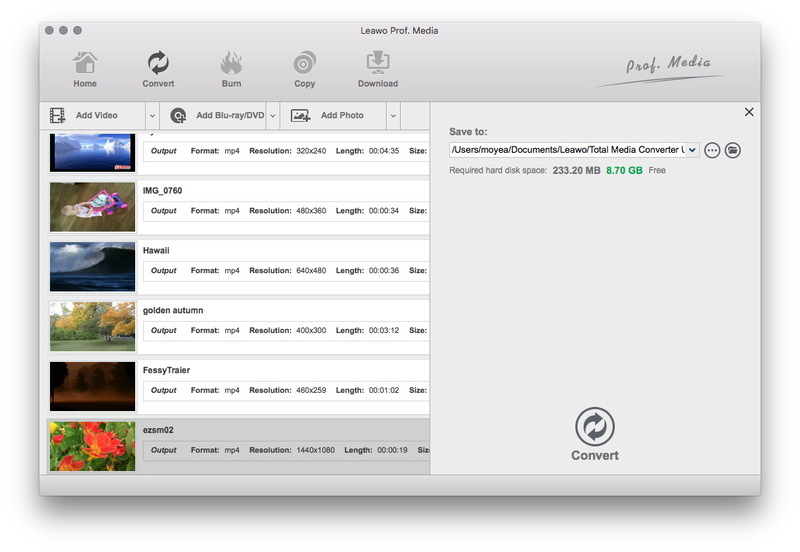 Download and install Leawo Video Converter for Mac(Windows users should switch to its Windows counterpart to convert F4V to MP4 on Windows). After the installation, you should follow the step-by-step guide below to learn how to convert F4V to MP4 on Mac. 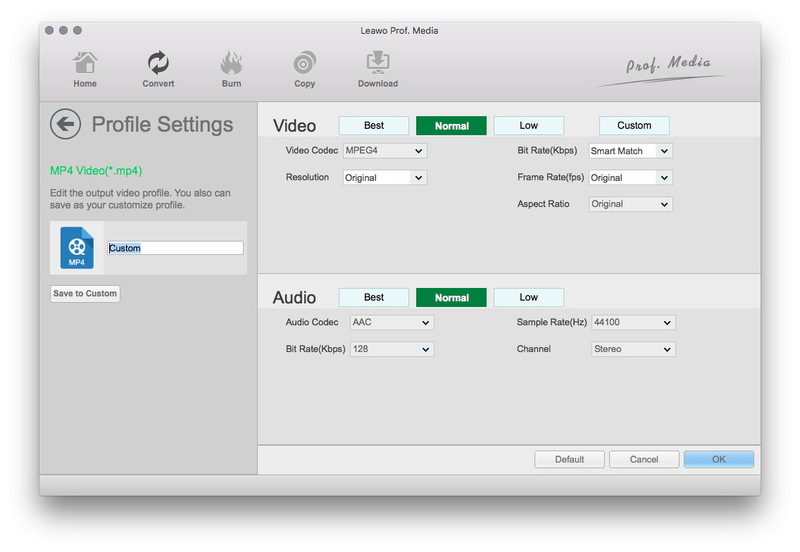 After the installation of Leawo Video Converter for Mac, launch it to enter the main interface, and under the “Convert” module, click the “Add Video” button or directlry drag source F4V videos that you’ve stored on your Mac into for this Mac FLV to MP4 converter. You could get all information on the left processing list, import multiple F4V videos for batch F4V to MP4 conversion, edit loaded F4V videos, add 3D effect, etc. After importing source F4V files, click the drop-down box right before the big green “Convert” button and then select “Change” option on the drop-down panel to enter the Profile window for output format setting. Open “Format > Common Video” group to select MP4 as output format. Finally, click the bottom “Convert” button of the sidebar to start to convert F4V to MP4 Mac. 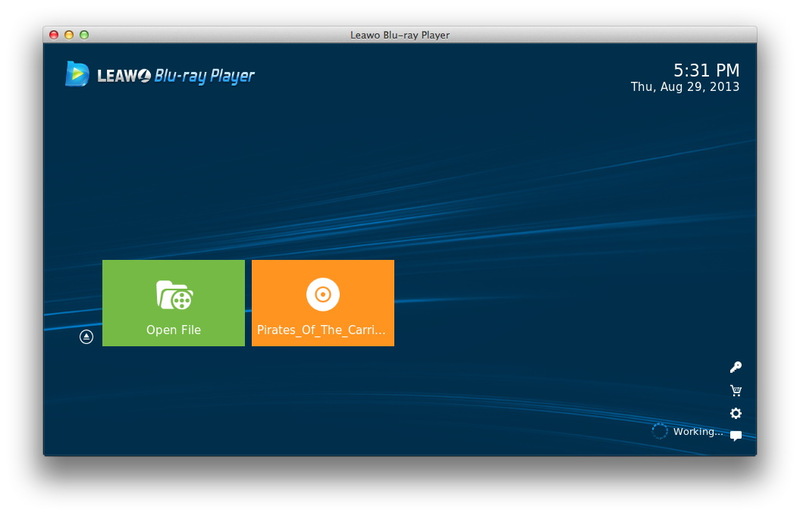 In this part, a free F4V Player Mac is introduced for you to play F4V on Mac, namely, Leawo Blu-ray Player. This tool can be employed as a totally free F4V player for Mac that help Mac users to play F4V on Mac for free. After downloading and installing this F4V player for Mac, you should launch it to enter the main interface where you need to click “Open File” button to browse and import source F4V video files into the program. Once imported, the F4V player Mac will start to play F4V on Mac immediately.